← Hey, Future, where’s my jetpack? I haven’t posted here recently as I’ve been busy finishing a book and delivering it to my editor. And then recovering from finishing a book. And then doing all those tasks that I’d put off until after I’d finished the book. Including anything to do with Christmas. But I did manage to fit in a few adventures. 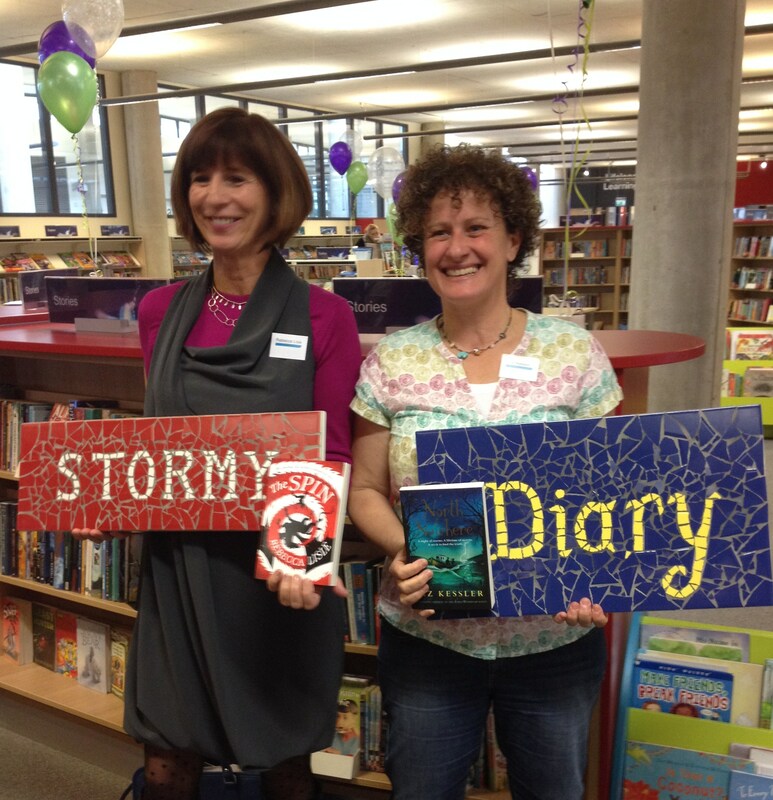 In November I went to Oldham for the Brilliant Books Awards. Thanks to Beverley Martin and her wonderful hard-working team at Oldham Council, we had a great day. 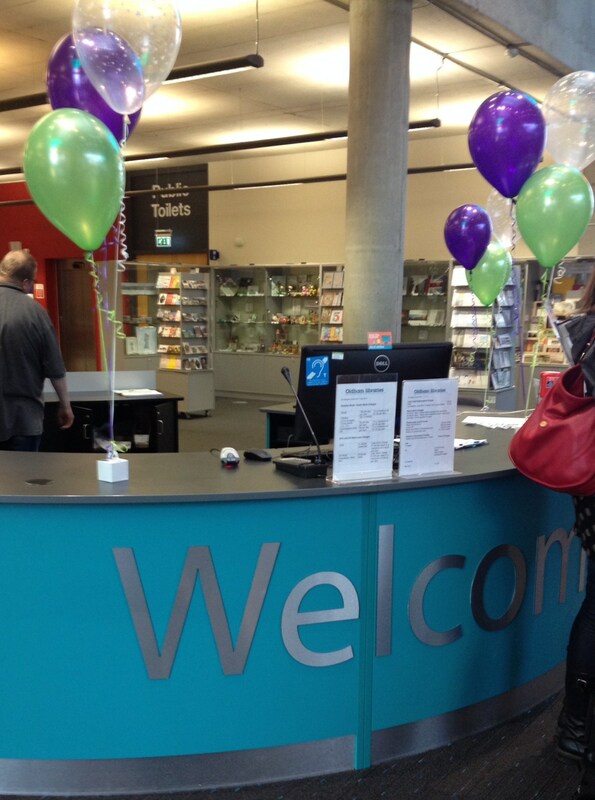 The event took place in the spacious and inspiring Central Library, which is a fabulous place for any book-lover. Children and young people, teachers and parents, turned out in force. There were workshops and readings for each different age-group, followed by an award ceremony and book signings. Members of the Oldham Coliseum Theatre Young Rep Company performed mini-plays based on each shortlisted book, and then the awards were presented by keen volunteers from the audience who each got to keep a copy of the winning book. What was so delightful was that lots of the shortlisted authors attended and I think all almost all the winners were there to accept their prize in person. This makes a lasting impression on the children who voted for their favourite books: they’d already met the author in one of the earlier sessions and could chat to them and get their autograph afterwards. 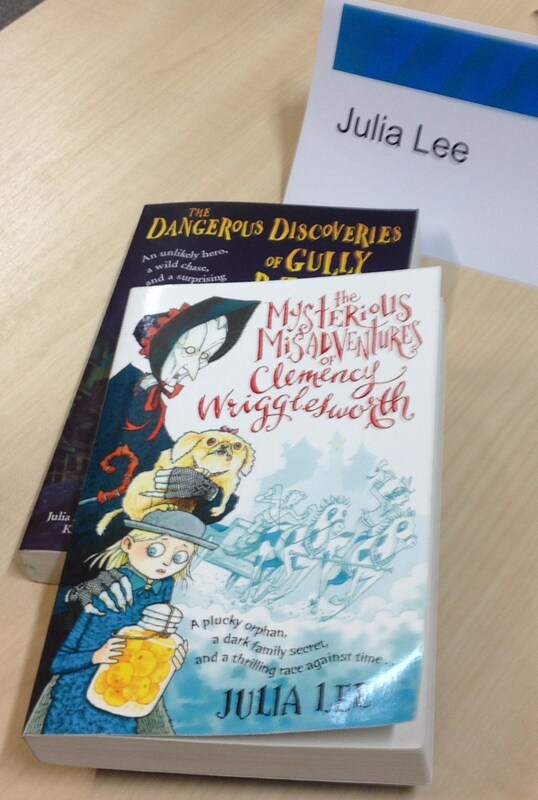 Although, sadly, The Mysterious Misadventures of Clemency Wrigglesworth did not win the 9-11 category, it was exciting to find out that the joint winners were Liz Kessler and Rebecca Lisle, who I’d got to know over dinner the night before and had just shared a workshop with. I met all the other fab authors, too, and renewed acquaintance with Helen Docherty. I first ran into her at the 2014 Booktrust Best Books Awards, and this time her brilliant picture book The Snatchabook was a winner! 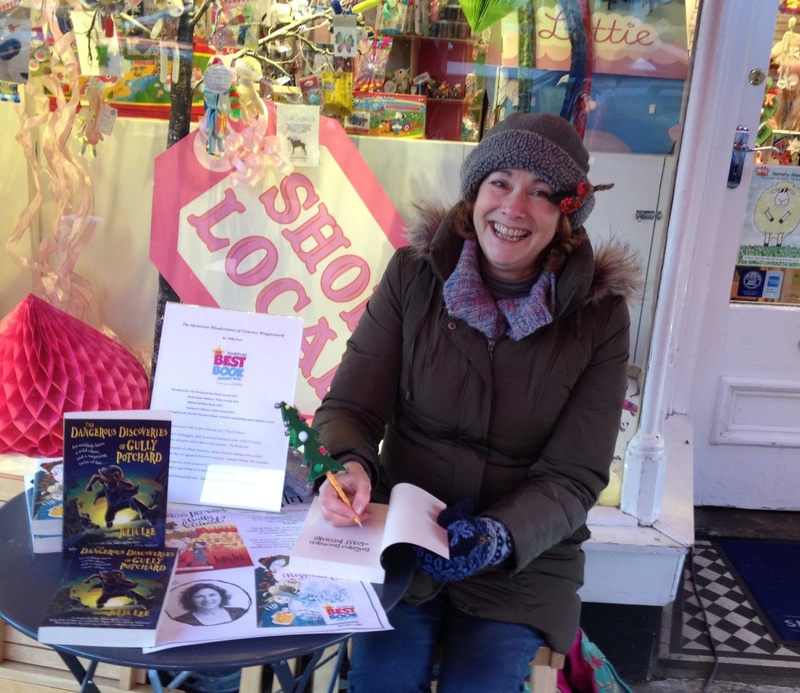 The coldest day of the year so far found me signing book in a pavilion outside(!) Wigwam, a wonderful independent toyshop in Brighton. 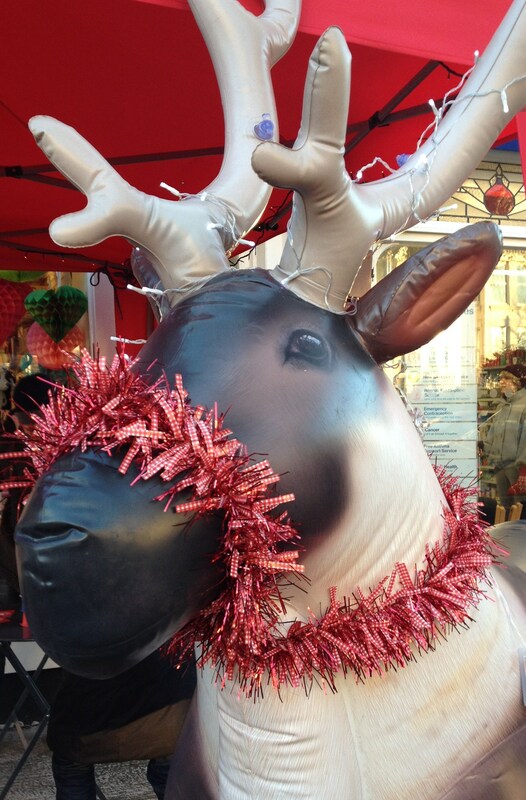 I was dressed in so many layers I could hardly move, with red berries and a robin on my hat, and with a giant inflatable reindeer for company. I even had a Christmas tree signing pen with irritating/jolly jingle bells attached. Or should that be jolly irritating…? Last but not least, just before the Christmas holidays really kicked in I was off to the first day of the exciting 21st Century Author Training run by The National Literacy Trust and Author Profile. I tried not to get too distracted by the panoramic views of central London from the 14th floor of a glitzy office block. About 20 children’s authors from far and wide were prised out of our writing garrets/sheds/corners to brush up on our presentation skills and learn how to really engage with young audiences. It’s always good to meet other writers and share ideas, because we all spend far too long on our own with our keyboards and our imaginary friends. More of this in the New Year. This sounds like so much fun for you! Hope you enjoyed it. It’s great to revisit the classics I enjoyed as a child – and discover the ones I missed. Isn’t it? Even though it only may been a couple years ago, I love to go back and enjoy the books I’ve read. Oops, I responded to your comment as I thought it was under the latest post. Hope it made sense!